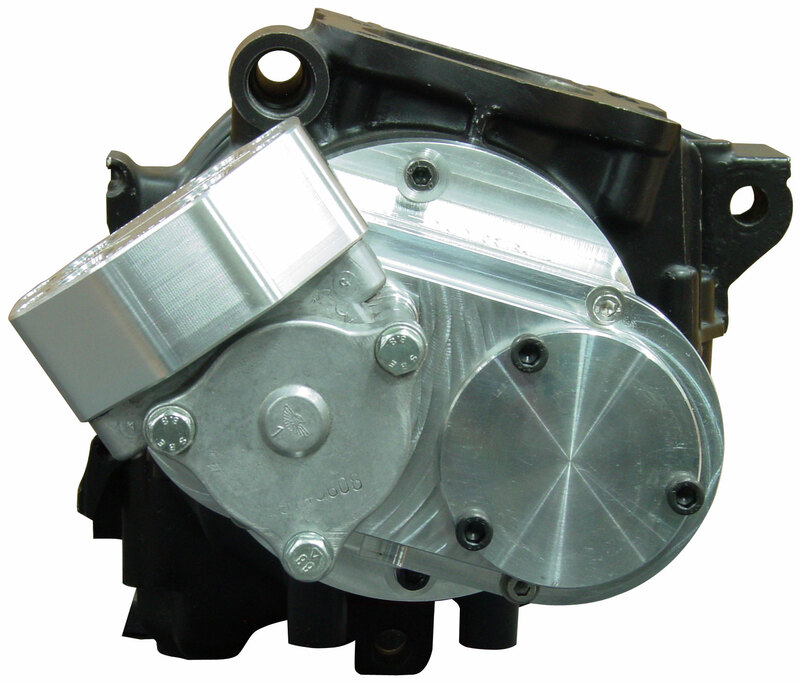 The Double Pump Drive Assembly (Honda 750 pictured) is also available for other motors. 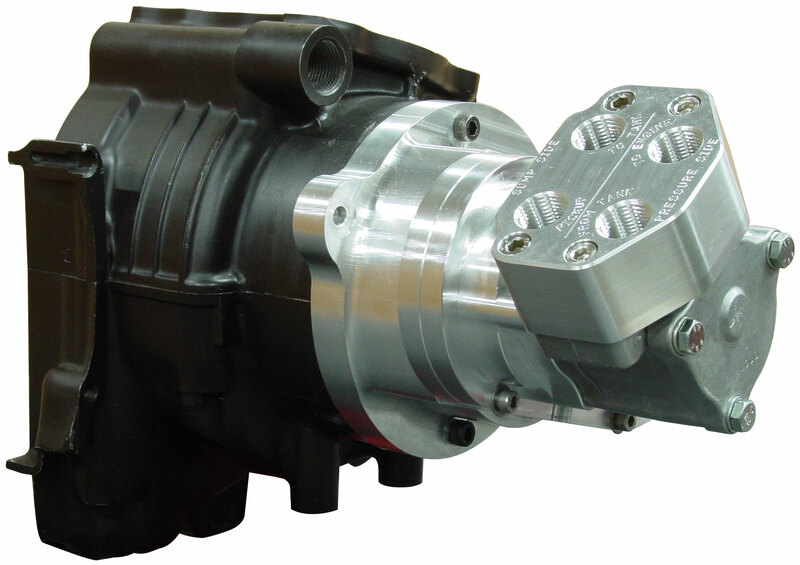 It is a front-mounted, crankshaft-driven, enclosed gear drive for one or two pumps. This drive is set up for a Honda 750 style oil pump and a Hilborn fuel injection pump. 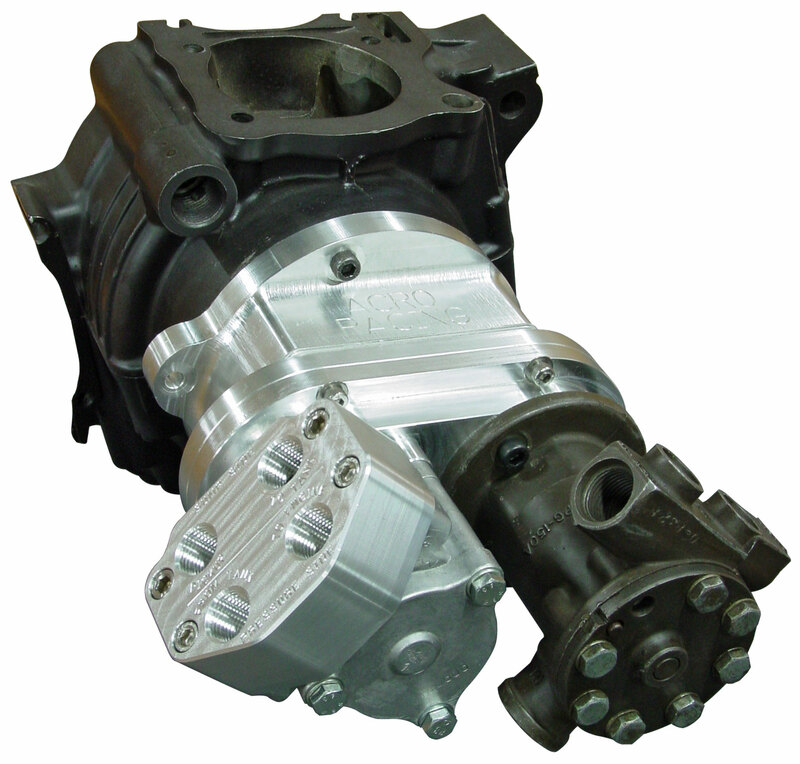 A 4-port manifold with oil pressure regulator is included, which controls the pressure output of the oil pump. The oil pressure is pre-set at 70 psi but is adjustable. 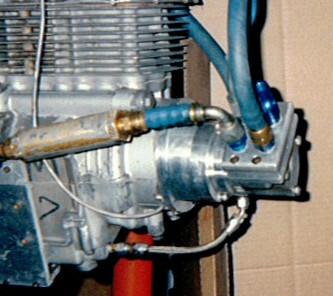 The second shaft is designed to drive a Hilborn fuel injection pump. Both output shafts turn at 1⁄2 crankshaft speed. 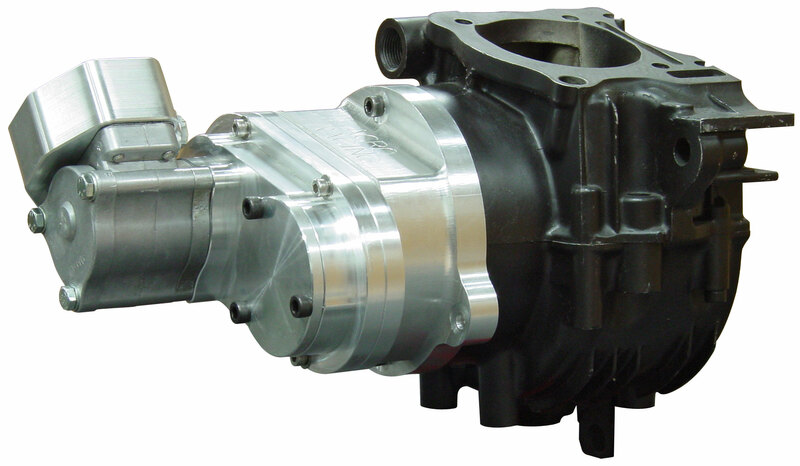 The low mounting position of the oil pump on the motor provides improved efficiency and a lower likelihood of losing prime. 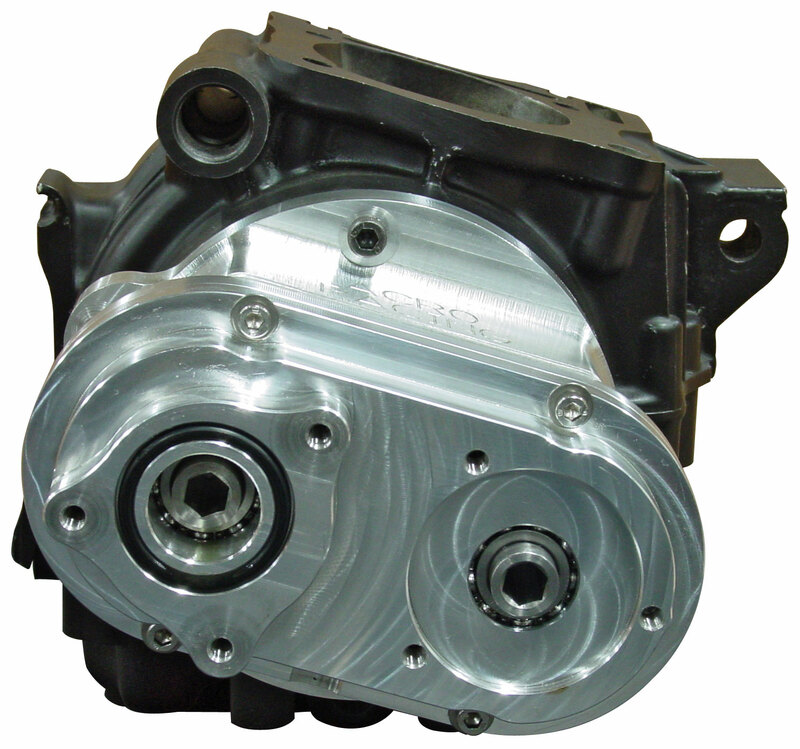 Another advantage of this drive over the traditional cam drive is the proper rotation of the Honda oil pumps, which improves performance at higher temperatures. The aluminum engine adapter is easily removed to allow access to ignition systems. If using both pumps, two additional mounting tabs are required, which are included and are easily welded on to the engine case. 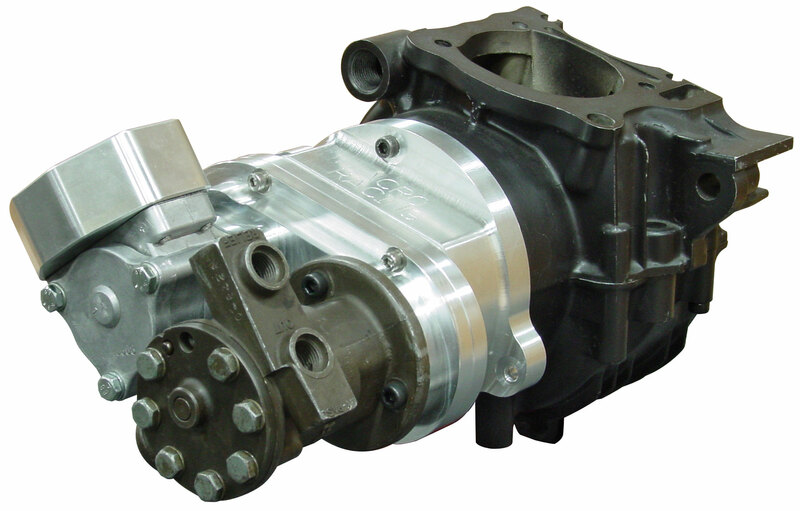 Overall assembly with the Honda oil pump is approximately 53⁄4" long; the fuel pump may add additional length.